Something Bubbly: HO Ho ho! How's your christmas day peeps? I had a simple but awesome Christmas day night. Wish to find a nice place to dine in? Bangsar should be a great deal for you. Lot of restaurants locate in this area, more than enough for you to choose. We didn't came out with a decision after walked for few rounds. In the end, we decided to walk around in the BangsarVillage. It's a dignity mall, greater than Pavillion? Christmas theme of the mall - Lego. 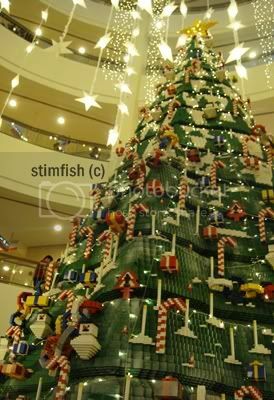 The tallest Lego Christmas Tree in Asia. Made-up with 850,000 Lego bricks, and it's 7 meters high. 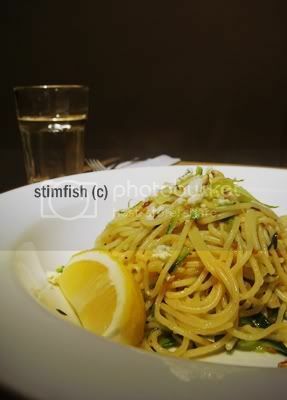 In the end, we dined in Delicious. A restaurant with a fine color. Kinda look similar with the Tiffany blue. A cozy big round sofa is place at the shop-front. The combination of color is amazing. Different types of blue color which make people feel ease. 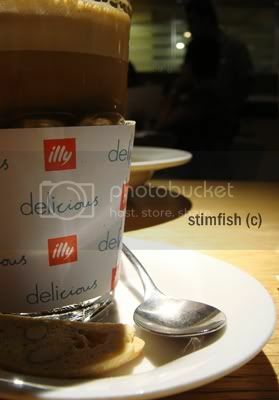 They are using the Illy coffee and FarmHouse milk. 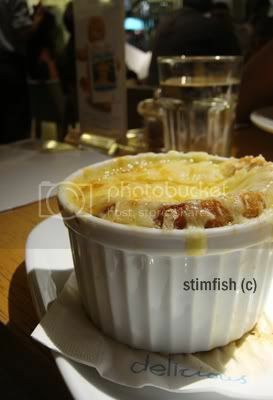 Laugh out loud when we read about this from the menu. They are so nice to include the coffee sleeve while served the drink. Quite salty yet the cheese is great. Not a good choice for you if you don't like onion. It does smell good but no taste when we eat that. 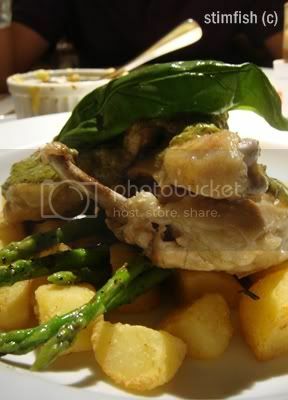 It served with fried potatoes and asparagus. The portion was huge, need to force myself to finish all of it. Bought a pack of FarmHouse chocolate milk. Love the eating spree in this week. haha, nice le. Now delicious also open at MidValley, i saw it just now!! !